In the second part of this series, I examined the effect of our definition of enterprise on how we think about EA. To close, I’ll consider the implications of a more inclusive concept of enterprise on the future of Enterprise Architecture. The focus of an academic program on Enterprise Architecture will necessarily reflect the prevailing concept of enterprise. The commonly used model of Enterprise Architecture being about people, process and technology provides a useful context for considering this influence. A concept of Enterprise Architecture based on the idea of enterprise as business will emphasize business, especially business processes, as they are the primary locus of technological support. It will include just enough about information technology and people to enable practitioners to address the goal of making IT a strategic asset for businesses. A concept of Enterprise Architecture based on the idea of enterprise as human endeavor will emphasize the role of people, and be built around the sociology and psychology of individuals, groups and organizations, especially leadership and management as means to achieving organizational goals. It will devote some attention to business as a particular kind of enterprise, but will look at other forms of enterprise and their unique concerns as well. Finally, it will consider technology in its most general sense as the means of instantiating the infrastructure necessary to realize an enterprise. There will be a lot of harumphing about how the conventional wisdom is correct by definition because it is what is practiced by the majority of practitioners, but there is a noisy and insistent contingent that will continue to point out that the world is not flat and the sun does not go around the earth. Only time will tell, but however you measure it, over 90% of most organizations is “not-IT”, and the IT-centric perspective is simply so imbalanced that it can’t ultimately prevail. Adopting a broader concept of enterprise consistent with its meaning in common English usage does not in any way invalidate any of the current applications or interpretations of Enterprise Architecture. It simply allows the application of architectural thinking to other kinds of purposeful human activity besides commercial business organizations to be subsumed under the rubric “Enterprise Architecture”. All entities that are enterprises by these more restrictive definitions clearly fit unchanged into this more inclusive definition of enterprise. 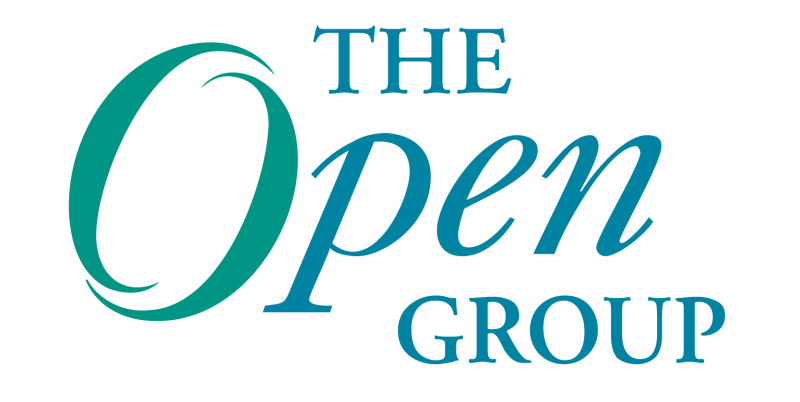 Len Fehskens is Vice President of Skills and Capabilities at The Open Group. He is responsible for The Open Group’s activities relating to the professionalization of the discipline of enterprise architecture. Prior to joining The Open Group, Len led the Worldwide Architecture Profession Office for HP Services at Hewlett-Packard. He majored in Computer Science at MIT, and has over 40 years of experience in the IT business as both an individual contributor and a manager, within both product engineering and services business units. Len has worked for Digital Equipment Corporation, Data General Corporation, Prime Computer, Compaq and Hewlett Packard. He is the lead inventor on six software patents on the object oriented management of distributed systems. Thank you for this article! And I’m especially pleased to see that this is published in the Open Group blog. As the popularity of TOGAF grows, I hope to see in the next releases less IT-focus and more AofE spirit and content. I’ve posted a short article two years ago (http://www.strategicstructures.com/?p=4) on the topic of EA being both IT- and organisation-centric. Now, two years later, although a lot of articles and books appeared speaking about whole-of-enterprise EA (e.g. http://www.igi-global.com/book/enterprise-architecture-connected-government/62630), I don’t see a big change happening. I wish you are right in this statement: “They will be replaced, over time, by EAs who learn the discipline in academic programs rather than by making it up on the job”, although I don’t know what makes you think that what will go in the academic programs will be good stuff. What’s left is to trust the evolutionary mechanisms. The IT-centric EA is just not viable and it will either go soon or will become marginal instead of mainstream. It’s a bit like predator in a new ecosystem. They came (I mean this mindsets, not people), they dominate and they will go. I see the first signs already. The EITA tribe is less respected by IT and is not more respected by Business. In some case even there is a perception that those who are not good enough (anymore) in IT goe to EA, as there is a comfort in the vagueness and many things can pass. At the same time Business people still see EA (aka EITA) as IT, which if everything, just harms the image of EA. Thus we have another silo and I don’t see it thriving. I just hoped the learning cycle will turn faster. Thanks for your comments Ivo. I’ve long believed that the curriculum of an enterprise architecture degree program is more a problem in “configuration management” than one of creation out of “whole cloth”. I.e., it’s more a matter of borrowing courses from other degree programs and figuring out the right combination. than it is of making up new courses. I do worry that many early programs will be strongly predisposed to the IT-centric perspective on EA, based on the “enterprise = business + IT” model, but if you take the time to think through the implications of this model, it falls apart rapidly, raising more questions than it answers. As I mentioned in Part 2, I think we’re seeing a reaction to the community’s intuitive understanding of this in the surge of interest in business architecture. I worry that the concept of enterprise architecture has become so identified with an IT-centric perspective that “business architecture” will try to be a different shadow of what enterprise architecture should be; but this time with a “business”-centric focus rather than an IT-centric focus. I observe two things about this trend. First, virtually none of the commentary about “business architecture” defines what the community means by “business”. It’s assumed we all know what it means, and we all know the same thing. I think the diversity of opinion about what a business architecture looks like suggests that maybe this assumption is mistaken. And second, as I tried to demonstrate in Part 1, there are enterprises whose primary concern is not “business” (whatever that means); are they not legitimate subjects of business architecture, or will we have to “adapt” the substance of business architecture to things that are not businesses, just as today we have to adapt much of the collateral of the conventional IT-centric concept of EA to the non-IT parts of an organization. Too much of the way we think about enterprise architecture as a discipline is shaped by the context within which much of it is practiced today — i.e., commercial business. Indeed, for many consultancies, the practice of enterprise architecture *IS* a commercial business, and commercial business only thrive by “going where the money is”. I have become very wary of reasoning about enterprise architecture by analogy, but sometimes it can be helpful. So I ask the community, what if the medical, legal or engineering professions decided early in their evolution that the words they used to talk about their work amongst themselves didn’t matter (the words they use to talk about their work with their clients is a different problem). What if they had decided that their profession was not broadly applicable but only about a particular subset that was the most frequently encountered? What if they had adopted language that implied that anything outside that subset was excluded from their concern? Would they be the professions they are today, and would the community at large, the community they exist to serve, be better off for it? I believe that currently EITA has a role in IT. EITA started in IT and has value for IT. It won’t disappear. But true, without business and people views, the EA is incomplete and little relevant to the much larger enterprise. It would never bring the touted benefits. That’s why one needs new frameworks (such as FFLV-GODS) that describe generic business blueprints and structures in which architecture views, such as business, people and technology, integrate back in. The academia comes with its own courses which are dissenting as much as today’s frameworks. As such they and the new certified professionals won’t make any difference until a proper framework is agreed and adopted by most. The new professionals won’t be any better as such. But yes, defining the concepts would be a first step. Such as what an enterprise is, what is EA, its scope and what a framework means. Nice post Len. I am glad to see this being published in The Open Group blog. I’m sorry, I don’t get the point you’re making. This series is not about organizational design, and certainly does not purport to “reinvent” organizational design. It is explicitly about the widespread usage by the EA community of four words as if they were synonyms. Perhaps you could take the time to more fully explain your point, and its relationship to the point I was trying to make. “It concerns knowledge and skills regarding the study and implementation of complex changes within organizations. Such changes are intentionally drafted with the aim of solving problems within and between organizations. OD&D not only considers challenges organizations face internally at the levels of its individual members, its teams and departments or at the overall organizational level, but also looks at the relationship between organizational changes and societal developments. The playground that OD&D occupies concerns the combined fields of organization design and organizational development. Organizational design relates to the interventions shaping work division, human resource systems and technological means that organizations have at their disposal. The field of Organizational Development and Design already has an all inclusive definition of organizations which is more inclusive than what you are proposing. My conclusion is that your series is about Organization Design only you/TOGAF/enterprise architects are not aware of it. I find it hard to imagine a more inclusive definition of organization than “a structured group of people and resources, usually acting in concert to achieve some shared purpose”, but I would be happy to adopt such a definition were you to provide it. >My conclusion is that your series is about Organization Design only you/TOGAF/enterprise architects are not aware of it. I actually am well aware of Organizational Design, but still come to a different conclusion. As I tried to demonstrate in this series, organization and enterprise mean different things. Elsewhere I have argued that architecture is a specific kind of design, which leads me to the conclusion that enterprise architecture and organizational design are related but distinct disciplines. A very large number of other people have come to the same conclusion via different paths. The number of people who believe something is never a guarantee of the correctness of that belief, and it is quite possible that we are all wrong and you are right. As this is all irrelevant to the central point of the series. I’ll leave it at that. With “definition” I didn’t mean a literal definition of the word “organization” from e.g. a dictionary but a definition from how the designer sees his object under design, e.g. like this phrase from the university brochure (from which I provided the link in my previous comment) “Organizations are partly shaped by deliberate design, but also by socially shared work practices and unintentional ways of organizing.”. The brochure also links organizations to society and broader infrastructures. I miss both things in your concept definition. That is why I made the statement that Organizational Development and Design uses a more inclusive definition. Maybe definition was not the right word to use and was something like “perspective” or something. But I’m Dutch so sometimes I use not always the best words i guess. BTW you are talking of a “concept of Enterprise Architecture based on the idea of enterprise as human endeavor will emphasize the role of people, and be built around the sociology and psychology of individuals, groups and organizations, especially leadership and management as means to achieving organizational goals”. As I read it you focus on organizational goals so I’m interested in: what makes Enterprise Architecture different from Organizational Development and Design? I think this last question is related to the theme “Different Words Meant Different Things” so I hope you will change your mind about “I leave it at that. Having slept on this, I’ve concluded that I have been unfairly dismissive of Peter’s remarks. The question, couched by Peter as an assertion, about the difference (or lack of difference) between the discipline of organizational design and the proposed generalization of the current IT-centric concept of enterprise architecture, deserves consideration. That said, I don’t think that the comments section of this thread is the right place to have this discussion. I’d prefer to keep the comments focused on the central point of the series — the blurring of distinctions between four words in widespread use within the EA community, and whether this is necessary or appropriate. These distinctions do have some relevance to Peter’s concern. For example, my concept of enterprise includes the Apollo moon landing program, but the Apollo program was not an organization. This enterprise, to send men to the moon and return them safely before the end of the decade of the ’60s, was realized by multiple organizations, specifically NASA and its contractors. My understanding of Peter’s assertion is that organizational design applies to programs like the Apollo program, not just the organizations (NASA and its contractors) that participated in this program. That is a question of what I have called “scope of concern”. There is also a question of what I have called “nature of concern”, i.e., what kinds of design decisions are the concern of organizational design applied to this scope of concern? Not all design decisions are architectural, and that distinction is the subject of another ongoing debate. So, clearly a subject worth exploring, but one deserving its own venue, not as a footnote to a different discussion. I like the idea to use the “landing a man on the moon and returning him safely to the earth” program as a background to explore things further.